FOR RELEASE: Centennial Village, 1475 A St., announces the return of a longtime museum tradition, its annual tea party. 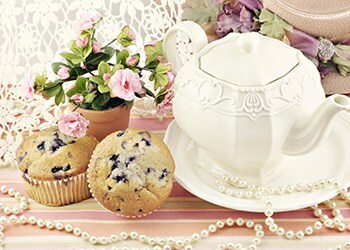 The Afternoon Tea Party at Centennial Village is scheduled for Friday, June 15, from 2 to 3:30 p.m. The Victorian-styled event will feature refreshments, musical entertainment and, of course, tea. Attendants can expect to be dazzled with the elegant amenities that create an atmosphere of class and sophistication known to the society of the late 1800s. Staff at Centennial Village are excited by the homecoming of this once popular event, and anticipates success similar to that of other re-heralded events. Tickets are $25 a person. Seating is limited and tickets must be purchased prior to the event, call 970-350-9220 for more information.